This large lattice design glass jar by T & G has a traditional look with its stepped copper finish metal lid and criss-cross pattern. The clear decorative glass makes for easy viewing of the contents, and the copper lid has a rubber seal for keeping them fresh. 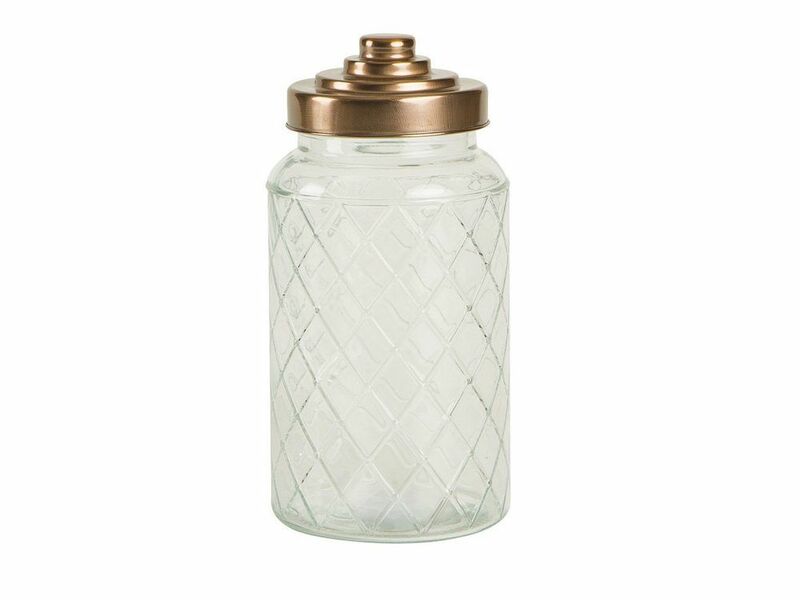 This lattice glass jar has a multitude of uses and is sure to look elegant on your kitchen worktop. 1200ml capacity - other sizes of glass and copper jars are available to create a set.